How do the seasons occur on Earth? 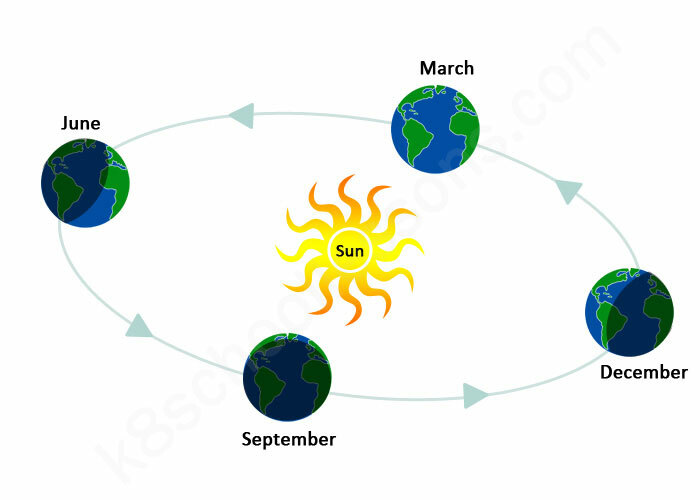 Seasons occur on Earth because Earth is tilted and it travels around the Sun once each year. As Earth travels, different parts of it slant or tilt toward the Sun. 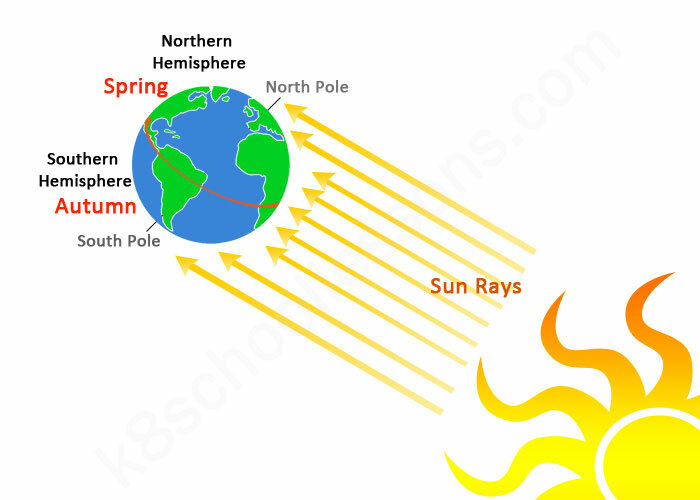 This affects the amount of light and heat that the different parts of Earth receive. How do seasons occur on Earth? Spring stands in the first place of the four seasons. The equator is again slanted to receive the most sunlight. The Northern Hemisphere enjoys spring during this time. The Southern Hemisphere goes through autumn. Summer is the second of the four seasons. 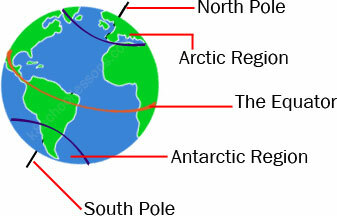 The North Pole of Earth is tilted toward the Sun. 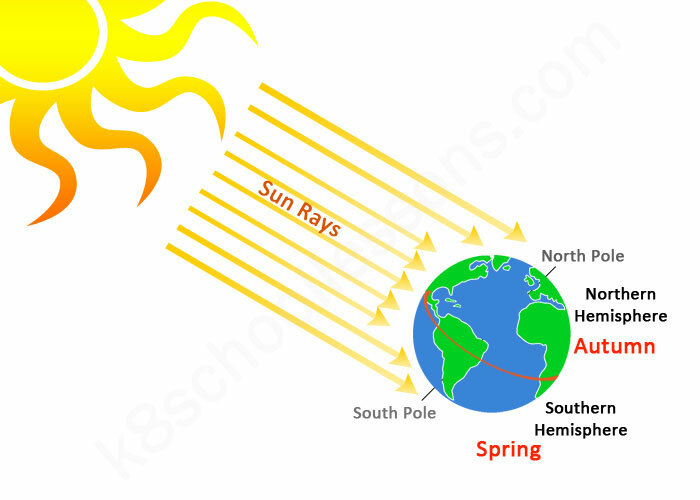 The Northern Hemisphere, including North America, receives the most sunlight. It produces the warmer weather and longer days of summer. The Southern Hemisphere goes through winter during this time. Autumn is the third of the four seasons. By September Earth has moved so that the equator receives the most sunlight. Everywhere on Earth, except the North and South poles, days and nights are of equal length. During this time, autumn occurs in the Northern Hemisphere, while spring begins in the Southern Hemisphere. Out of the four seasons winter is the last season. The South Pole is tilted toward the Sun. 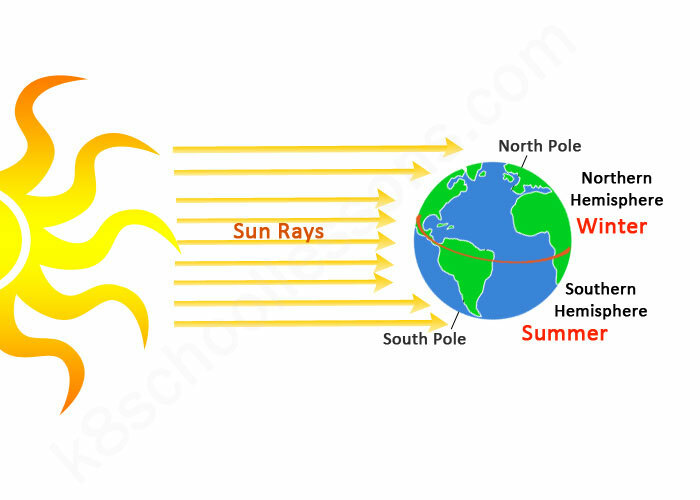 The Northern Hemisphere receives fewer sun rays. This causes the short days and chilly weather of winter. The Southern Hemisphere enjoys summer during this time. What is the distance from Earth to the Sun? Where can we find extreme climates? Where can we find extremely cold climates? 1) In the middle of summer the Sun never sets to these regions. But the temperatures are never very high, they are still very low and have cold climates. 2) In the middle of winter these regions never gets light and the temperatures are extremely low. 3) In Alaska, far from the equator, the average temperature in January can be more than 60 degrees colder than it is in July. Where can we find extremely hot climates? 1) The number of hours of daylight does not change much throughout the year. 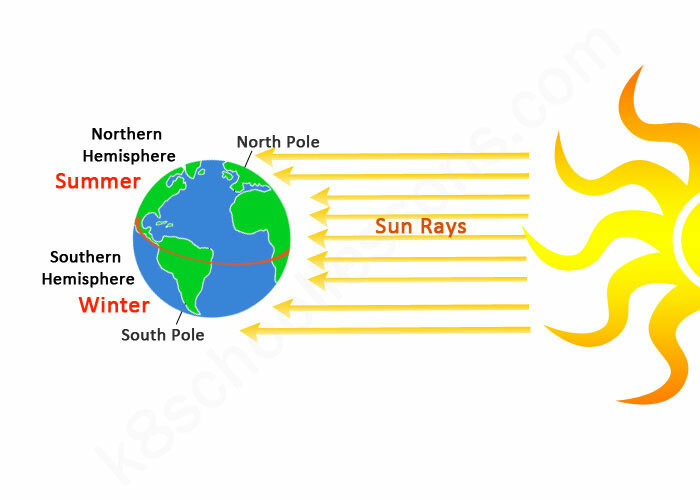 2) The Sun is always high in the sky and the temperatures are high. Earth takes exactly 365 and a quarter days to orbit the Sun. Because of that quarter of a day, every forth year, an extra day is added to the month of February. This is called a leap year. In the Western calendar, a leap year comes after every four years..